Named by National Geographic as “the most biologically intense place on earth,” the Osa Peninsula is a true jewel of land, water, and life. 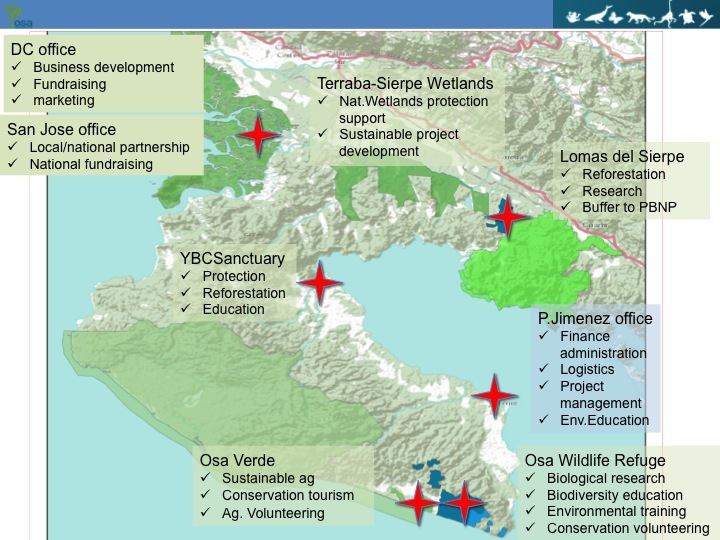 Covering an area of just 700 square miles on the southern Pacific coast of Costa Rica, the Osa’s geological history makes it home to a nearly unparalleled amount of biodiversity. 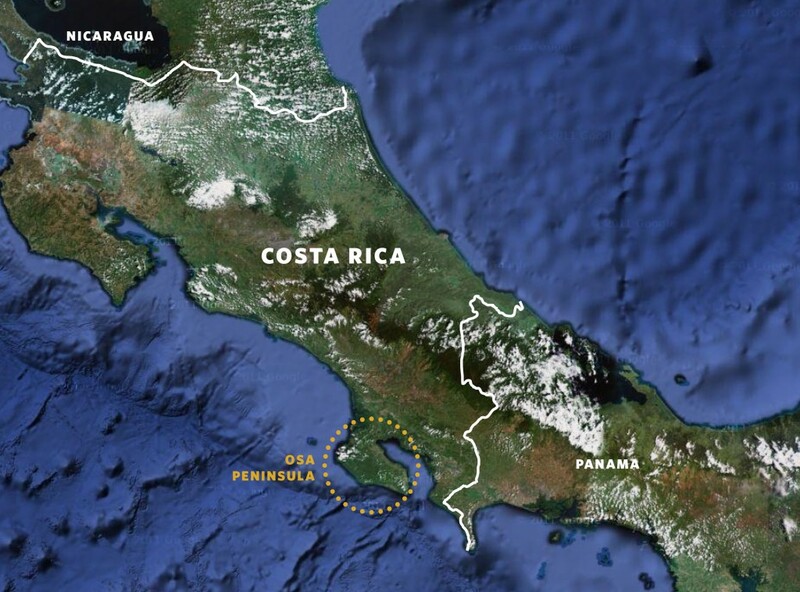 Once an island floating in the Pacific, the Osa evolved in isolation until it merged with mainland Costa Rica by way of the same fault system that extends to California. Located along the Central American isthmus, Costa Rica itself is a hotspot of biological diversity, as innumerable species poured into the land bridge created when the two American hemispheres joined together. 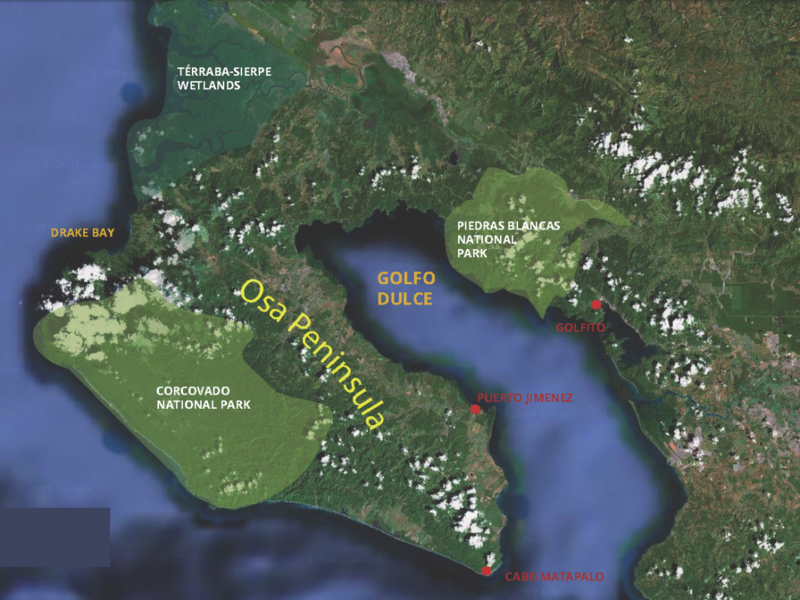 When the Osa Peninsula joined the mix nearly 2 million years ago, the area became a tropical landscape of unprecedented richness. The Peninsula is estimated to house 2.5% of the biodiversity of the entire world – while covering less than a thousandth of a percent of its total surface area – truly earning its title as the most biological intense place on earth. These incredible ecosystems provide invaluable services to the people who depend on them for clean air, drinking water, food, jobs, cultural resources and a stable climate – and so their conservation is critical.